Guests to this year’s D23 Expo will get the first look at the upcoming Star Wars Lands coming to Disney Parks in 2019. 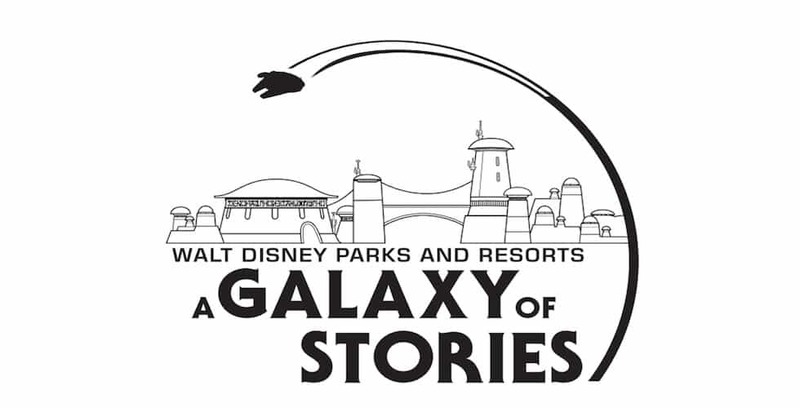 Disney Parks announced today that an entire pavilion dedicated to Star Wars Land at Walt Disney World Resort and Disneyland Resort will be at this year’s D23 Expo in Anaheim, Calif., along with the reveal of the logo for Walt Disney Parks and Resorts: A Galaxy of Stories. Guests to D23 will be able to view the locations, creatures, droids and starships that will populate the remote outpost planet on the Outer Rim in Star Wars Land, as well as the world premiere of a detailed model of the 14-acre land coming to Disney Parks in 2019. Media and artwork showing the creative process of building Star Wars Land will also be on display. The Imagineer-exclusive merchandise store, Mickey’s of Glendale, will also return to D23 Expo this year, stocked full with limited edition souvenirs and the items. D23 Expo 2017 will be held July 14-16 at the Anaheim Convention Center. For more information, and to purchase tickets, visit D23expo.com.